Oral health. It’s important. Going to the dentist for preventative and maintenance care is a key factor in ensuring that your child has great oral health. Maybe you, yourself, fear going to the dentist. Or, maybe your best friend has told you stories about how her child fears going to the dentist and what an ordeal it is to get her teeth cleaned. What can you do to decrease your child’s fears and anxieties about going to the dentist? Do NOT tell them that it is scary. Instead, exude a sense of excitement about how cool it is to go to the dentist. Start taking your child to the dentist early. 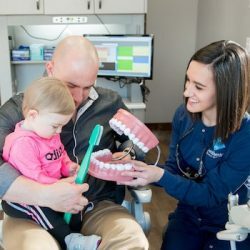 If you child grows up going to the dentist regularly, then she is less likely to equate this activity as something to fear or be anxious about. Instead, you can set out your semi-annual visits as a special “date” and a fun event that happens regularly. Give them the experience as an observer. Part of educating your child is to lead by example. Schedule a dental appointment for yourself prior to when your child’s appointment will be and take your child with you. 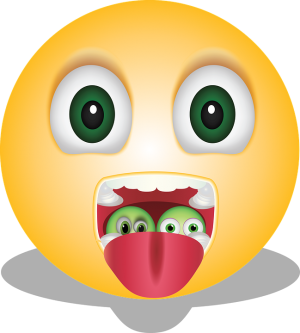 Now, if you are one of the approximately 15% of adults who fear going to the dentist, you will have to exercise your best self-control and make use of your best acting abilities to exude excitement and calm about going! Take the time to find a good pediatric dentist. Especially for small children, these offices are an excellent choice because they will often use smaller instruments, give better treasure chest rewards after the appointment, and provide a child friendly environment. During the exam, stay with your child and remain calm and positive and curious. This behavior will calm and reassure your child. Finally, remind your child that this is something that everyone does (or should do) and that it will help them to be healthy and strong. It’s true, going to the dentist can be stressful, especially when there are procedures to be completed. But with encouragement and a positive attitude, your child can and will enjoy this part of their healthcare.